Lets Nurture Renders Love, Warmth and Hope to the Less Fortunate through Winter Clothes! When you sleep inside your warm and comfortable soft linens, you probably don’t think about the children who sleep without anything to cover themselves. Or does your heart go out to the elderly who shiver all night anticipating the warmth of sun? The answer is probably yes. But being gheraoed by our own problems, we often forget to indulge into the joy of giving. Every year at Lets Nurture.org, we experience the joy of Christmas season in a way which is a bit different as compared to others. It involves offering food, toys and clothes to the needful and receiving their blessings for our organization to grow. Of course, to be able to give more. And the volunteers were none other than the employees of Lets Nurture along with the nurturer himself. An announcement about the charity event to be held on 21st December was made beforehand. 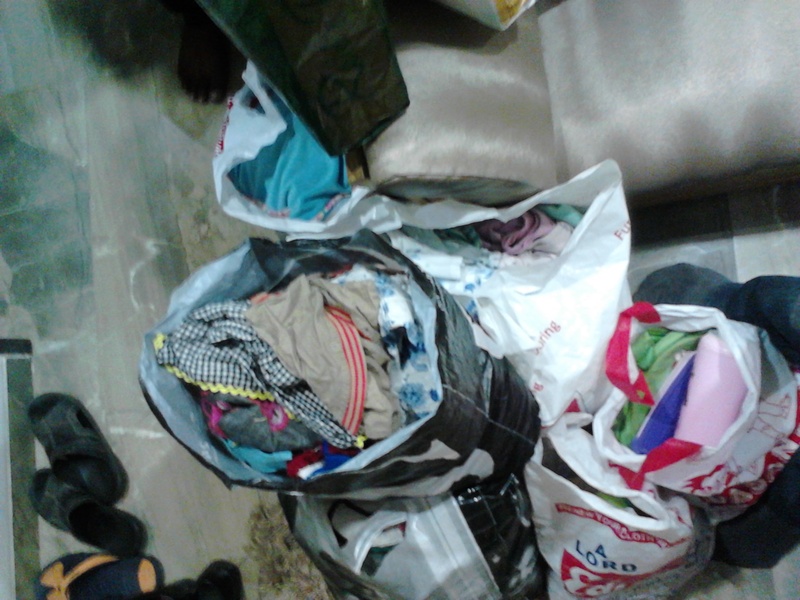 And in no time, the office started overflowing with piles and bundles of clothes including sweaters, jackets, hats, trousers, t-shirts, clothes for children and more. Such huge was the amount of clothes that we had to store some of them in the passage outside the office. 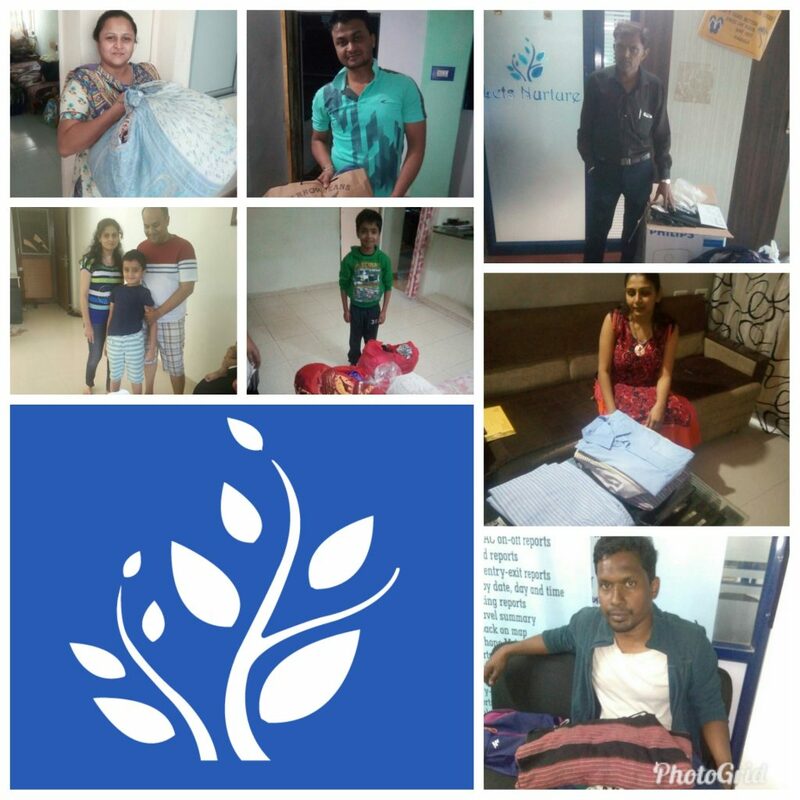 Amit, Viral, Dhaval, Nikunj, Pratik Priyank, Atul, Kashyap, Mittal, Piyush, Hitesh, Krunal, Dhruv, Siddhraj, Yashpal and many others donated clothes whole heartedly and with all their love. As there were a lot of attires to give away, the employees were asked to carry a couple of clothes along with them and distribute them in their respective areas. A quote by Winston Churchil says “We make a living by what we get but we make a life by what we give.” Following the same philosophy, our employees headed out to different areas of Ahmedabad. 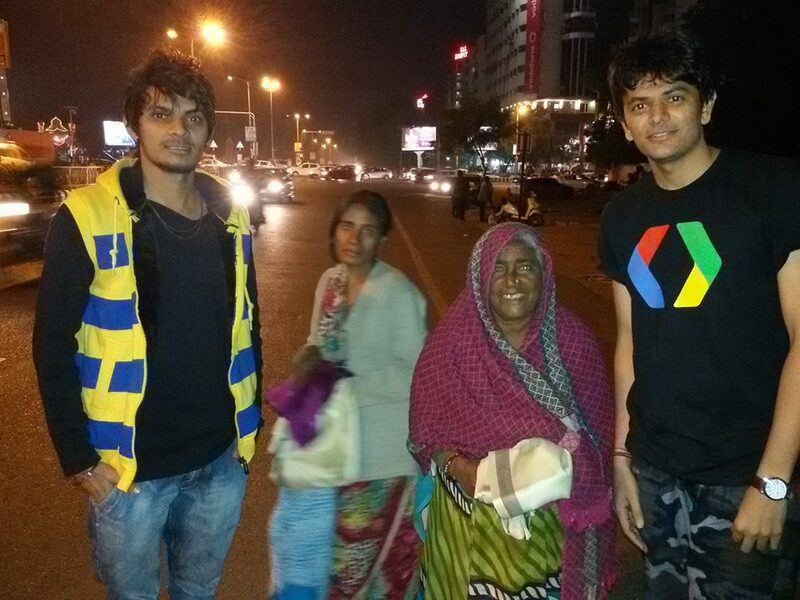 Priyank, Dhruv and Jignesh covered areas like S.G. Highway and Vastrapur, Pratik chose to distribute clothes at Ranip area of Ahmedabad, Hitesh, Siddhraj and Krunal spread the Christmas magic at areas like Naranpura, Bodakdev and Gurukul whereas Yashpal distributed some clothes near the Ghatlodia area. The nurturer too, indulged into a lot of cloth distribution at various places. What followed was fun, clicking selfies and showers of blessings. As the employees wanted to keep it fair, they decided to distribute the clothes evenly amongst all the family members that resided near railway lines, slums and several other places. And what happens when you treat a hawker selling traditional Indian snack named chana jor garam with clothes? You get a free treat of the delicious snack too! Jokes apart, when he received clothes to protect himself from cold, he was overwhelmed and truly grateful to the boys. However, we also learnt that being poor doesn’t mean letting go of your dignity. 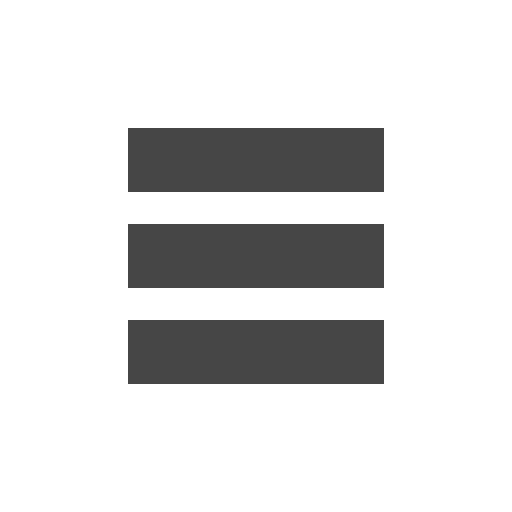 There were several instances wherein the poor denied accepting clothes saying that they had enough to cover themselves and were satisfied with what they had. Overall, it was a great experience and it wouldn’t be wrong to say that we all felt like a Santa Clause that day. If you have clothes lying at the back of your closet that you do not wear any more, please don’t dispose them off. They could bring a lot of happiness in the lives of children and elderly. Help us to nurture lives. Visit www.letsnurture.org or write to us on info@letsnurture.com. Let’s donate, Lets Nurture!